Drawing on detailed figures disclosed by firms for the first time, Checking Out on Plastics, our survey of Britain’s largest supermarkets and grocery chains, reveals 10 major retailers are placing over 810,000 tonnes of single-use plastic on the market every year. 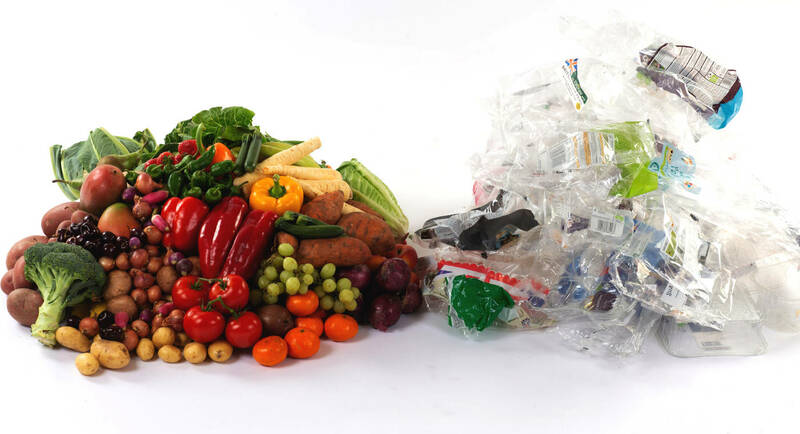 Seven of them are putting in circulation the equivalent of some 59 billion pieces of plastic packaging – over 2,000 items for every household in the country. Despite their huge plastic footprint, half of the supermarkets surveyed have no specific targets to reduce plastic packaging and most of those who do are moving at such a slow pace (just five per cent per year) that it would take them 20 years to completely rid their shelves of throwaway plastic. The survey by Greenpeace UK and ourselves ranks retailers based on their commitments to reduce single-use plastic, eliminate non-recyclable plastic packaging, supply chain actions and transparency. Iceland comes out slightly ahead of the pack thanks to an ambitious plan for phasing out own-brand plastic packaging within five years, while most major retailers, including Tesco and Asda, are clumped together with mid to low scores, with Sainsbury’s at the bottom of the league. Sarah Baulch, Senior Ocean Campaigner, said: “Decisions taken by supermarkets today are resulting in thousands of plastic items flooding British homes every year. Despite public pressure for action on plastic being at an all-time high, our survey shows that UK supermarket giants are failing to keep up. With just seven supermarkets putting over 59 billion pieces of plastic packaging through their tills every year, the true scale of their footprint is now becoming apparent.